We're all just clowns. But incredibly lucky clowns. 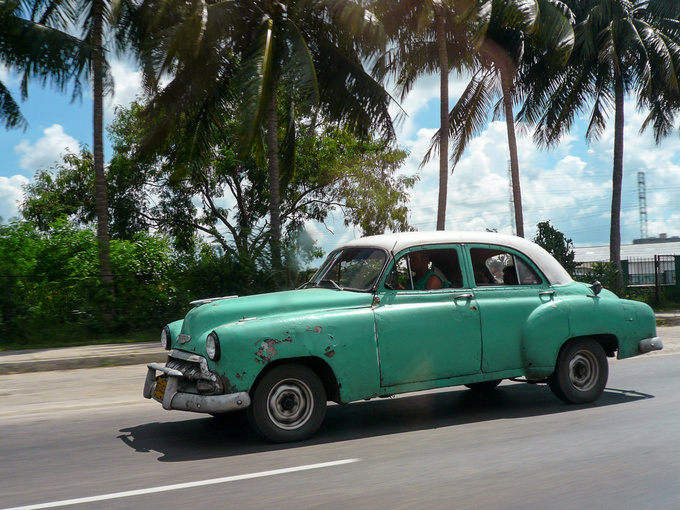 After visiting Cuba it will take a few weeks till I can write things like ‘the electric power steering feels dull' again with firm conviction. Something like that is a ridiculous problem by Cuban standards, and in my mind I'm still over there. 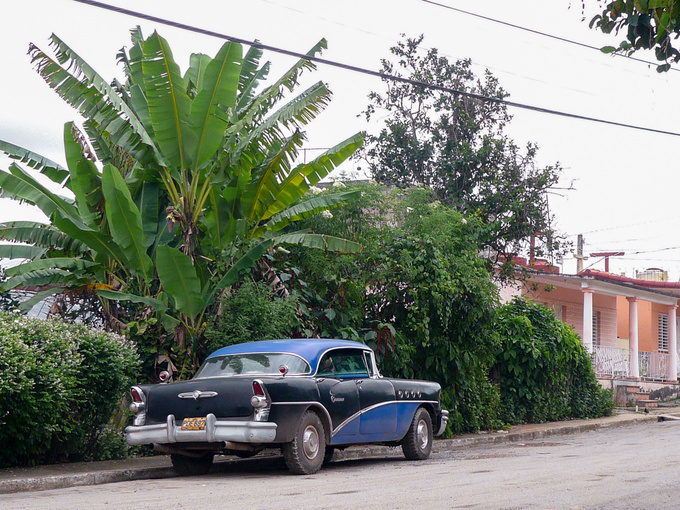 Cuba is a parallel universe. Like travelling back in time taking an imperfect time machine. I'm sorry, but the clichés are all true. 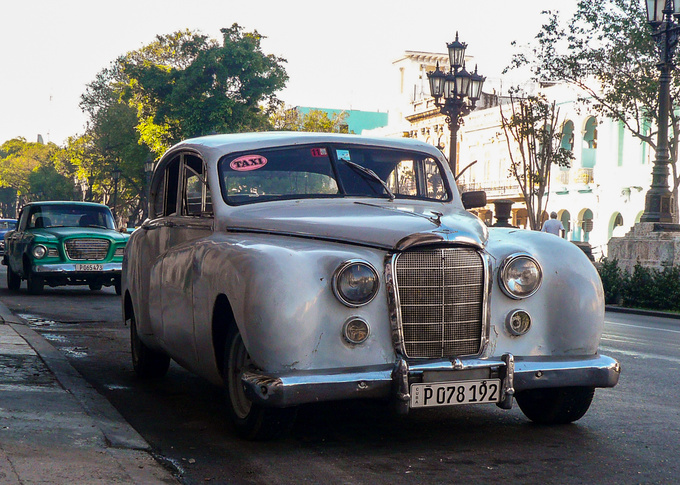 As soon as you arrive in Havana, you start taking pictures of the cars. Of all of them. You can't believe the place is real and it's not some movie set you've wandered into. This was about the fifth photo I took, still intoxicated and amazed by the sight. There's also a perfect setting for all of these cars. Just get out on the streets, and by the second time someone's trying to sell you a fake Cohiba, you'll definitely have run into a scene like this. 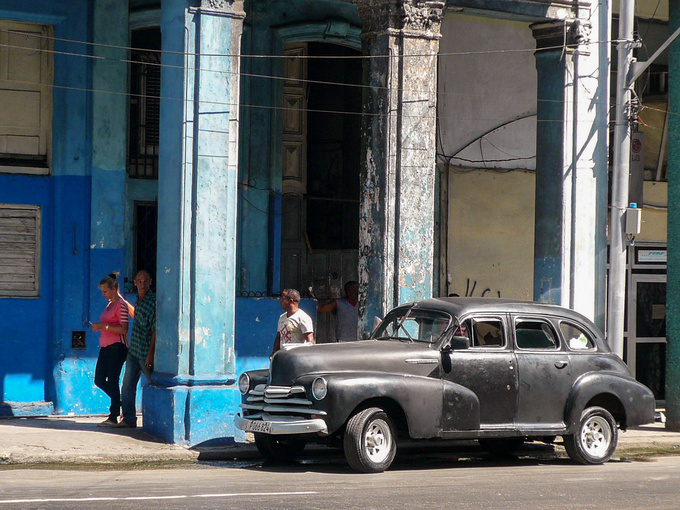 This kitsch is the daily dullness in Centro Havana, which is something like the ghetto in the city centre of Budapest. 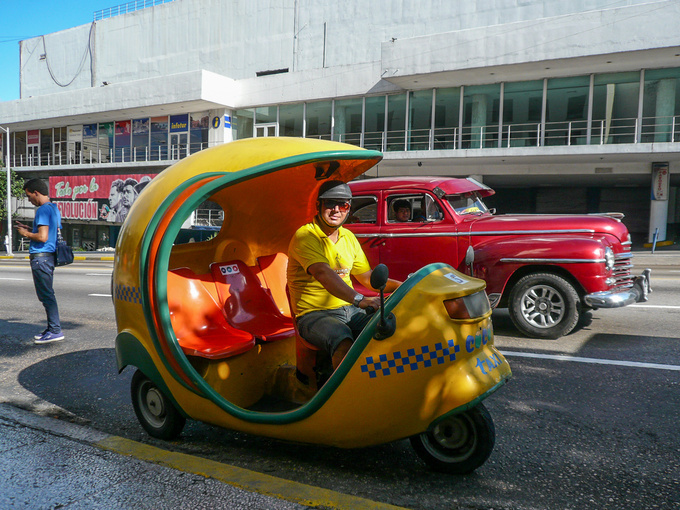 A shipment of Vespa Apes must have lost its way and arrived at Cuba by mistake, because the city is full of such three-seat moped taxis. 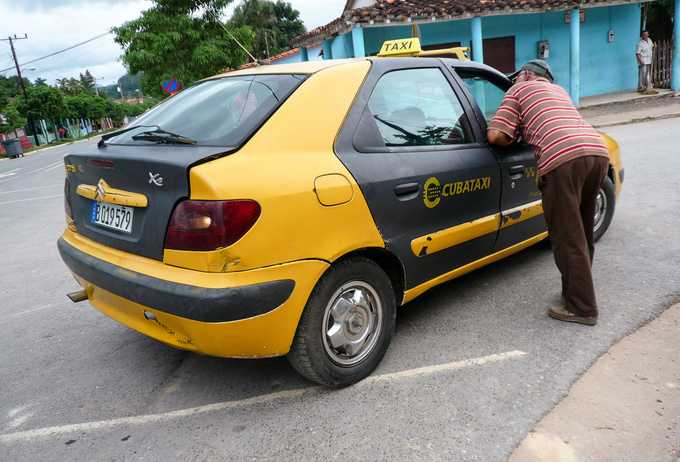 They take to your medium distance destination at a lower price than the ordinary taxis, and they're a lot of fun. Things aren't always what they seem: these women are making money. 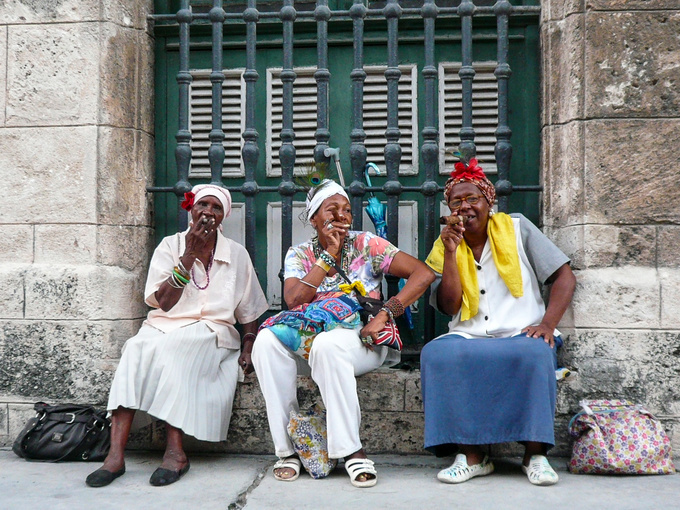 Armed with fake cigars they sit down at the Plaza de Armas, the place with the highest tourist ratio, to lure the tourists with a friendly smile only to demand their fee peremptorily once the obligatory photo has been taken. 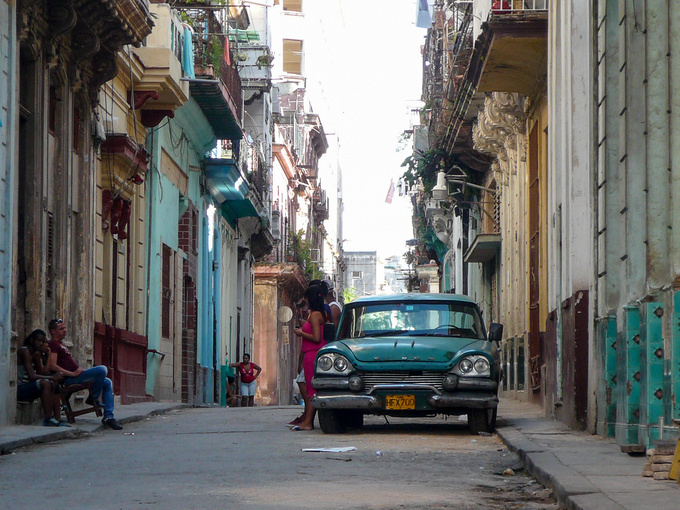 After spending a few days in Cuba you'll be well aware what they're up to, but it's still impossible not to play their game. 60 years don't pass without leaving a trace. 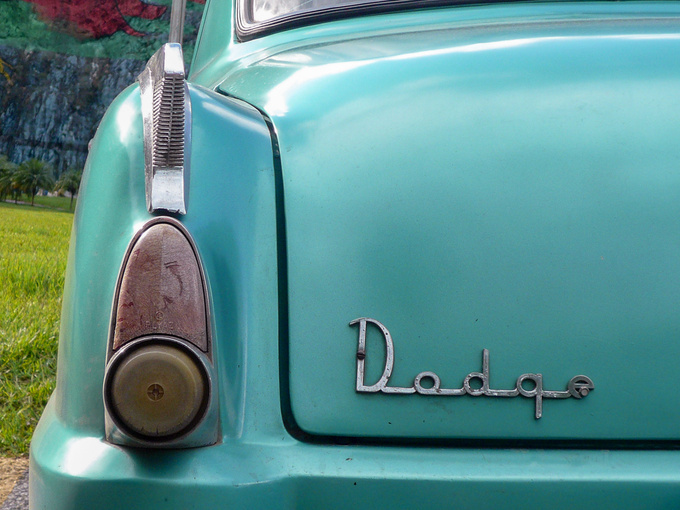 Why do I feel that these battered, shabby roaches are the real, authentic vintage cars? Even though most of them are equipped with a diesel engine, a truck axle, and a multi-buttoned steering wheel. Cars are signs of privilege. Even the Lada. And someone who has a carro americano must have it really good. Almost all of those are used as taxis in one way or another and the tourists just love them. Especially as they charge just as much as the bus for a long-distance journey if you manage to gather three co-passengers. There are a number of British cars as well, made strictly before 1959, of course. Keeping the make clean is not taken that seriously as spare parts for these simply can't be found. But they manage somehow. 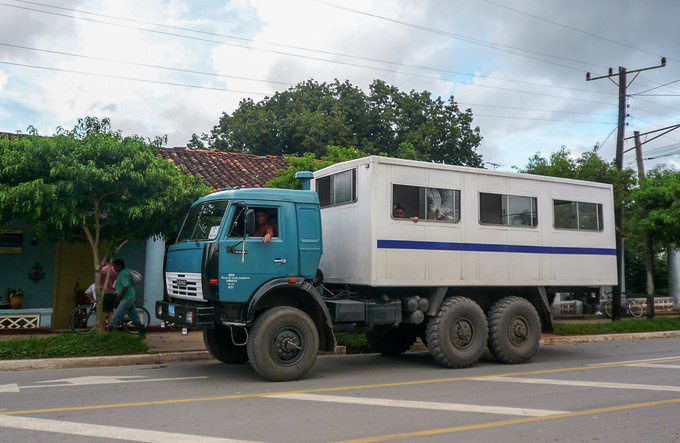 A bus of the better kind: at least this one has a sliding window. The old Zils have been fitted with boxes resembling cattle sheds with people swarming the lower step. 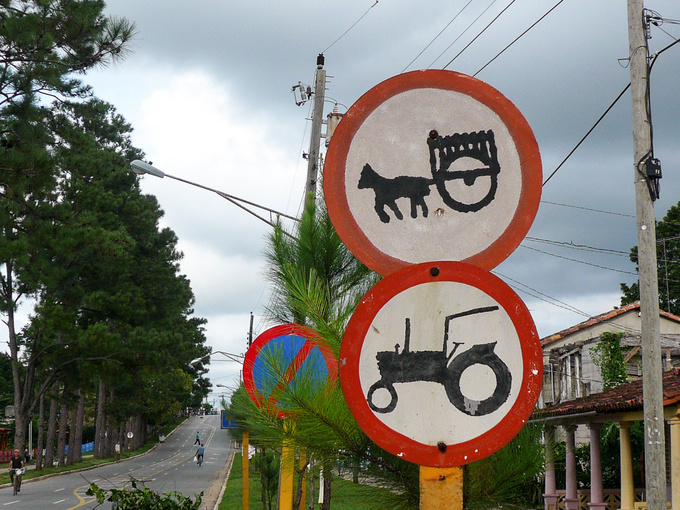 Hand-painted signs are no rare sight, and at least the Cubans comply with the rules of the road. Although the oppressive terror is over, police are highly respected: everyone slows down spotting police men in case they feel like asking for the drivers' papers, which they do quite often. Accordingly, public security is good, if the violent crime rates are anything to go by. American cars seem to make up about half of the car park, socialist makes make up about a quarter, and the rest is a mixture consisting of mostly French cars, in particular Peugeot or Citroen, with a diesel engine, of course. It's hard to imagine what state they're in. Here you go, an SUV in mint condition. Tires are of considerable value around here, you're considered to be something of a minor god if none of you wheels is out of true. Tire theft is said to be the most common offence associated with cars, which doesn't surprise me at all having taken a few taxis. This is no faux folklore, this is reality. 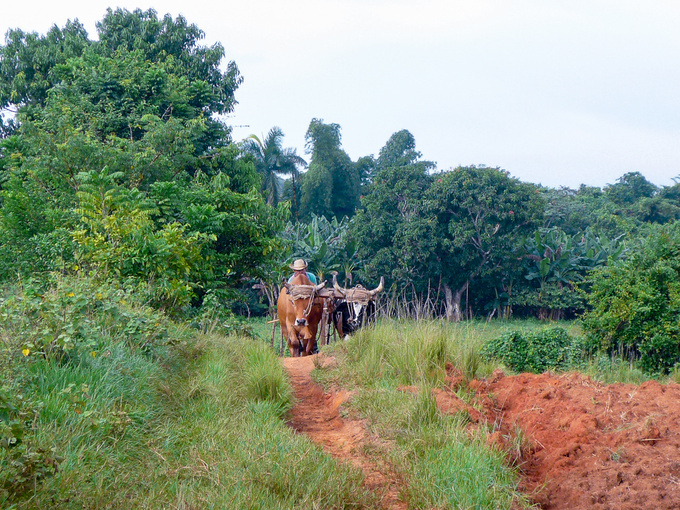 Primarily oxen are utilized for cultivating the land around Vinales, tractors are only used when absolutely necessary. The extent of poverty is mind-bending given the conditions of the island. 5,000 $ is the approximate price of a really good Lada – which this wasn't. 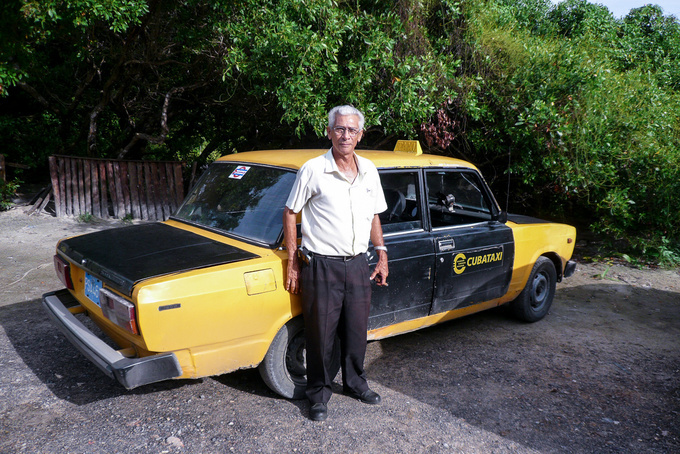 Our cigar-smoking driver deemed 60 km/h to be the safe speed and I more than agreed with him on the matter. He's probably one of those who buy petrol from a spiv, as he took the two of us on a 120 km journey for 30 bucks and was happy for the job. 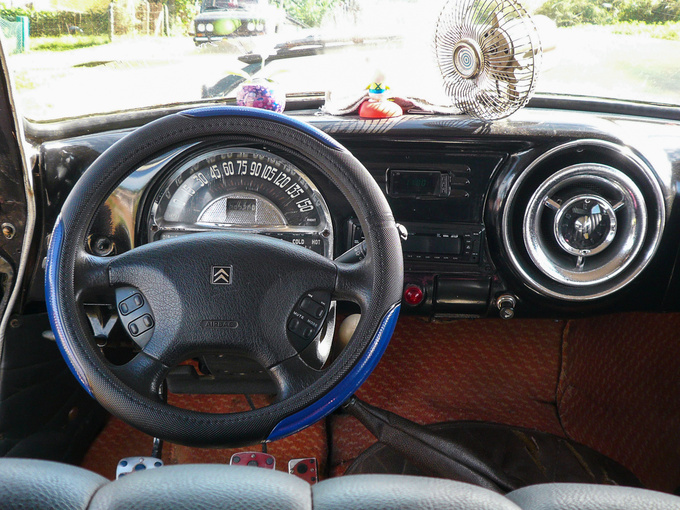 Most American cars are fitted with some modern steering wheel. Sometimes the whole steering column is replaced. Or the steering rack even, as after 60 years of use and many hundreds of thousands of kilometres the rack and pinion steering device of a Citroen may be somewhat more precise. This is the dashboard of our diesel Pontiac taxi. The car drove well, even doing 100 km/h on the motorway. A Studebaker Lark equipped with a Volga engine, plus its incidental driver and the proud owner. The car was in incomprehensible condition, I didn't dare to do more than 30 km/h driving it. 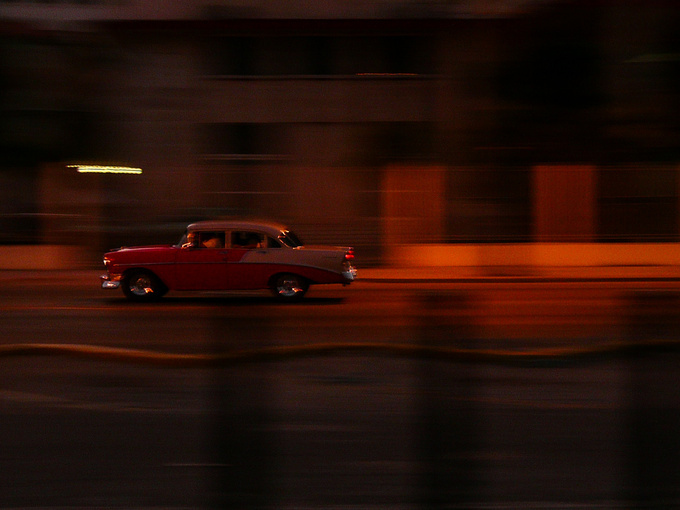 I came to realize that the Cubans are excellent drivers. One out of a 1000 cars is restored at such a high standard that, ignoring the engine, it would easily be classified as a mint vintage car in Europe. God knows where they get the spare parts from, but the chrome parts, the interior and the paint job are almost unnaturally perfect in such cases. 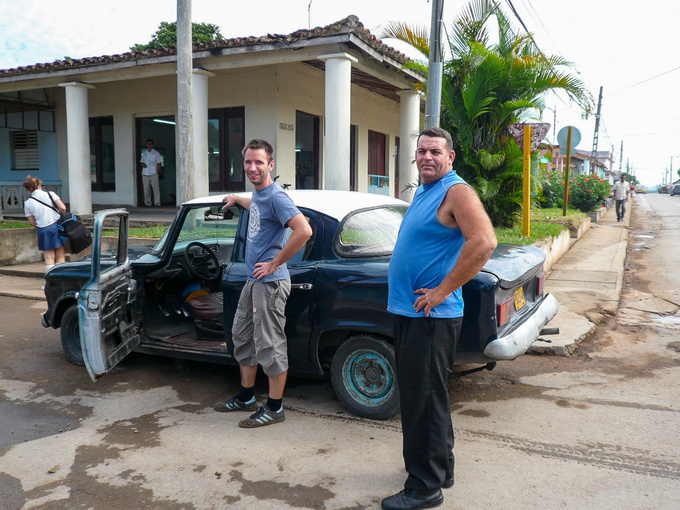 Such professional restoration is of course the exception, but it is well worth it if it helps the owners to a good price transporting the all-inclusive tourists of Varadero. 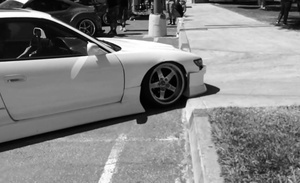 Up to a certain point, the lowering of a car can be useful. Beyond that it’s pure nonsense.